So it has just gone 5pm now which marks the close of my first open studio’s weekend. I haven’t had many people come and visit me, and the people who did were people I knew. However having said that I did get a couple of sales/commissions so that’s good 🙂 Hopefully I will get more people next weekend, its all set up so it would be nice to get someone come that I don’t know. I’ve done a mini installation in the corner too. Please come and see me next weekend! 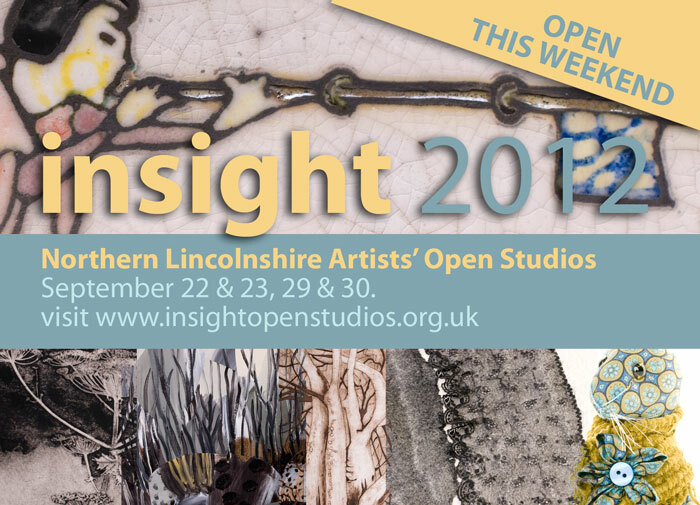 Insight Open Studios Event – This Weekend! Hello Everyone. Just wanted to remind you all that I’m taking part in the Insight Open Studios event this weekend and next. All the information you need is on the website stated in the advert below. Hope to see some of you then.